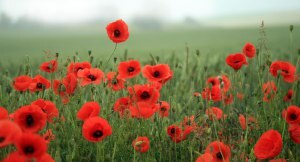 Mr Hildrew’s blog for Remembrance Day. Remembrance Day in school is one of those moments which make you realise what an important job we do, and what a privileged position teachers are in. It’s always the day of the year when Iwantto be teaching period 3; I’m disappointed if I have a non-contact session. It’a an honour to share the silence with young people as we reflect, separately but together, on our individual and collective experience of loss and sacrifice. There are few other occasions where I’m so intensely aware of what Graham Nuthall calls the different worlds of the classroom. On the surface we all experience an identical minutebetween the bells, but in our private inner worlds each person has an unknown and unique journey. Firstly, I’ve always loved to read. I used to read by torchlight under the covers at night when I was supposed to be asleep. I have always got a book on the go (it’s pretty much all I put on my Instagram!) and I don’t think there’s much to beat the feeling of being completely absorbed in the imagined world of a story. If I was really on a desert island I’d want to clear some of my “currently unread” pile, but here are the six books that had the biggest effect on me, or mean the most to me, in alphabetical order (author’s surname) because I can’t rank them! Jane Austen famously described her novels as “the little bit (two inches wide) of ivory on which I work with so fine a brush as produces little effect after so much labour.” In this novel the art of nuance, delicacy, and meticulously crafted language is unparalleled. It tells the story of Fanny Price, a low-born girl, adopted into the rich Bertram family. Fanny has a rock-solid moral compass, and always knows right from wrong. When her uncle, Sir Thomas Bertram, goes away to Antigua to look after the plantation full of slaves his wealth is built upon, the elder and supposedly better Bertram children begin to drift away from the straight and narrow, flirting with unsuitable people and generally getting out of hand – but Fanny stays strong. I love the fact the Austen, in 1814, was showing that those born with privilege don’t necessarily deserve it, but that being true to what you know is right will be rewarded. The novel is also notable for the fabulously awful aunt character, Mrs Norris, a horrendous snob and busybody – and the character that J.K. Rowling named Filch’s cat after in the Harry Potter series. Emily Dickinson is a fascinating character. She spent most of her life as a hermit, shut up alone inside her house in Amherst, Massachusetts. After her death in 1886, her sister, Lavinia, found stockpiles of poetry, hand-written and hand-bound, locked in trunks. They were breathtakingly modern, often very short, dense, and compact, using dashes as punctuation and meditating on death and immortality. She is now widely regarded as one of the most important American poets of all time. This book contains all 1775 separate poems, and I read it cover-to-cover for a final year university assignment. I’d love to have the time to do it again! As an aside, you can now see all of the original handwritten manuscripts at the open access Emily Dickinson Archive – a real treasure trove. This novel had a profound impact on me when I first read it in Year 12. I’d read some of Plath’s poems in class, and my English teacher recommended this novel as further reading. It’s a semi-autobiographical account of her depression and breakdown in 1950s America, told through a character called Esther Greenwood. Esther is a thinly-veiled version of Plath herself, and the novel deals with her treatment by electric shock following a suicide attempt. It is harrowing and horrific, but it is a story which has a strong thread of hope running through it. It is also brilliantly written, with metaphors and images so striking they remain with me still. Published in 1963, its unflinching first-person portrayal of mental illness is as important and relevant today as ever. I may be slightly cheating here by cramming a trilogy in as one book, but it has been published in one volume and it’s my list, so I’ll do what I like! The opening novel, Northern Lights, tells the story of Lyra Belaqua, living in a parallel world where people’s souls exist outside their bodies in the form of animal companions or dæmons. In the second part, The Subtle Knife, Lyra’s story intertwines with that of Will Parry, a boy from our own world, as the two of them try to find the secret of the mysterious Dust that is swirling through the universe. Supposedly a children’s book, the trilogy’s ambition and scale is huge: it takes in the nature of religion, creation, adulthood, life, death and the self within a gripping and thrilling narrative. It has to be read to be believed. Sarah Waters is a brilliant writer of historical fiction, often exploring the experience of women in different time periods. This perspective always makes for fascinating reading, but in Fingersmith she fashions a plot so fiendishly complex and so full of twists and turns that I remember gasping aloud as I read it. It’s definitely one for older readers, but the exploration of love, trust, betrayal, madness and deceit in Victorian Britain is simply stunning. When I was at university, I got really interested in whether it was possible to express thoughts in writing – dreams, unconscious thoughts, the inner workings of the mind. Woolf’s attempt at that The Waves reads almost like a poem, with six characters speaking in the first person in a series of interlinked inner monologues. It’s an experimental, beautiful book. What are your Desert Island Books? Let me know in the comments, or have a chat about it with your teachers. Even better, let the LRC managers know so they can add you to the #LoveToRead list!